Recently, I was away for the weekend, pottering through the wonderful antique shops of the Kangaroo Valley when I stumbled across a range of postcards relating to our beautiful area. 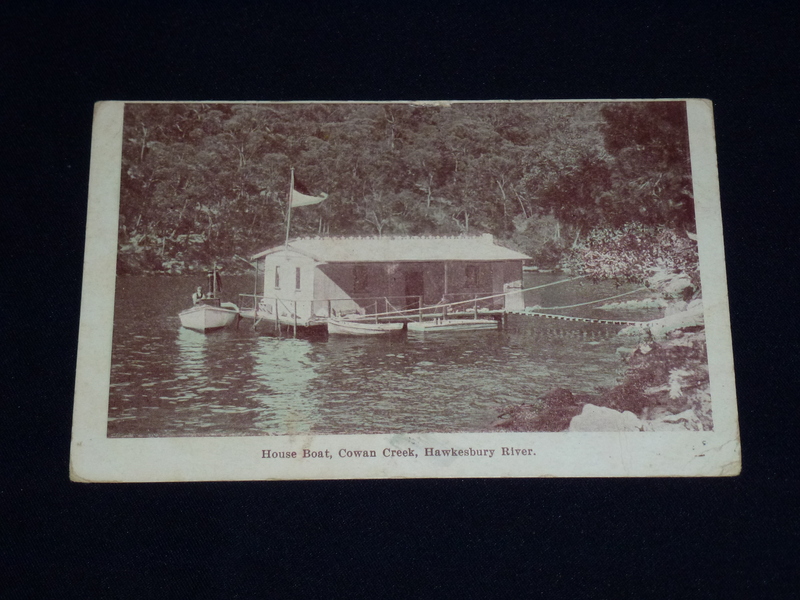 One of these postcards, shown above, focussed on the popular Windybanks business, showing the houseboats on Cowan Creek which Windybanks was so famous for. Others focussed on areas slightly further afield, such as Ku-ring-gai Chase, areas which visitors to and residents of Berowra alike would no doubt have made good use of. Postcards provide a fantastic glimpse into the historic past of areas, particularly those which appealed to tourists. We know that many of the businesses in the area even sold postcards during the tourist heyday. If you have any such postcards, please let us know!